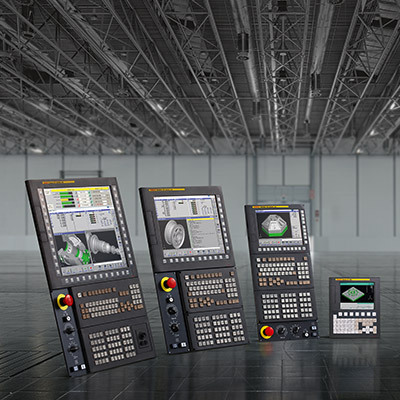 Boasting the widest range of CNC systems in the industry, FANUC provides everything you will ever need for your CNC – from best value controls with powerful functionality to high-performance control systems for complex machines. 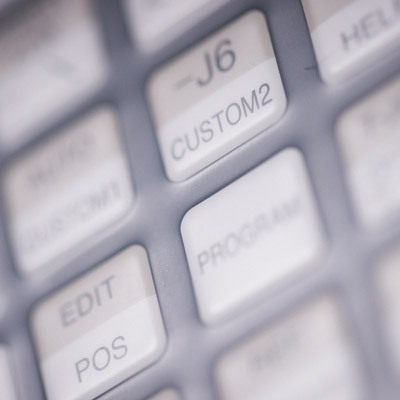 Controls, motors and amplifiers, cables and connectors come in easy-to-install packages tailored to your specific needs. Quick to program and easy to use, they guarantee maximum quality and short cycle times. 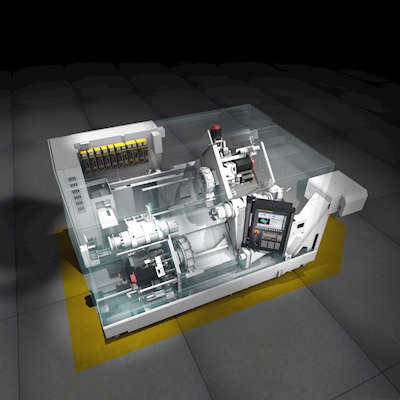 Benefiting from an operating concept that is maintained throughout FANUC's controls, FANUC CNC controls are easy to operate and program, and require less training. Plus, upward compatibility means that existing programs can be re-used easily, reducing your total cost of ownership. Incorporating an integrated PMC/PLC, the Power Motion i-A CNC motion controller can control up to 32 motion axes in 4 paths. 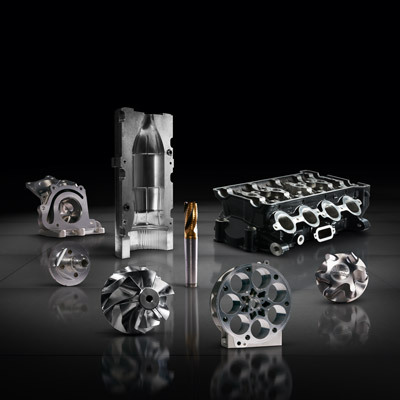 The Power Motion i-MODEL A has been developed for high performance, multi-axes general motion applications. Energy efficient and designed to support even your most advanced machining needs, FANUC amplifiers mix enhanced performance with world-famous FANUC reliability. Designed and built specifically for your needs, FANUC drive systems are perfectly matched and deliver maximum productivity. Easy to install via plug & play, they offer the greatest reliability on the market along with outstanding performance and excellent energy efficiency. 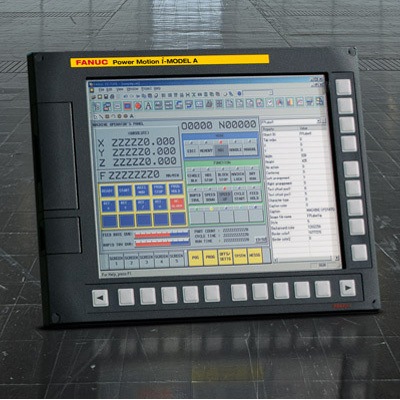 Create a superior software development environment for your FANUC CNCs using FANUC NCGuide. Combined with other FANUC software development tools (such as FANUC LADDER III, FANUC PICTURE, C- and MACRO EXECUTER), this provides an even more efficient development environment than the existing CNC. A broad range of highly customisable display units, including integrated LCD screens, standalone solutions that support multiple screens and sophisticated hand-held displays, are ideal for operations close to the application. An "Ethernet display sharing function" is used to share one display among multiple CNCs. No matter where you are in the world, full support for your applications plus FANUC's highly committed parts and customer service is right there, when and where you need them. 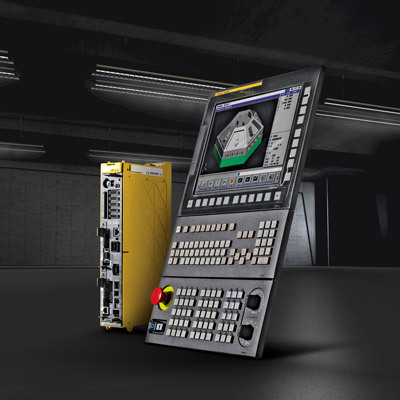 Every component in FANUC CNC systems – laser sources, controls, motors and amplifiers – is exclusively developed, manufactured and tested to perfection in-house. Designed for utmost compatibility, these parts are extremely long lived, making for very high levels of machine uptime as well as a mean time between failures of well over fifteen years. 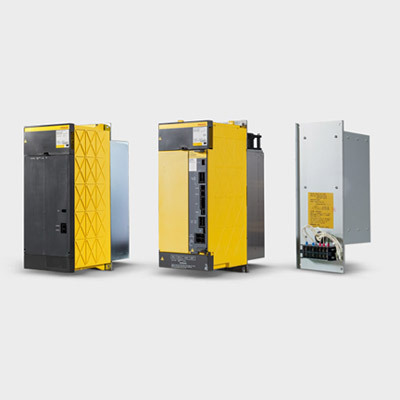 Using intelligent energy management to provide the best performance for the lowest possible energy consumption, all FANUC CNCs, motors and amplifiers are engineered to make the most efficient use of energy. Additional tools to monitor and manage your energy use are also available. 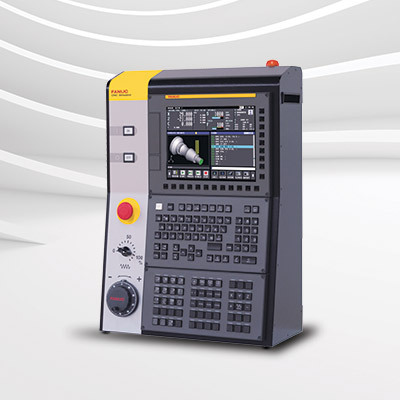 Only FANUC offers you the freedom to choose from two versions of CNC control. With the space-saving LCD mounted model and the highly flexible standalone version available, you can always be sure to benefit from maximum versatility when it comes to machine design. 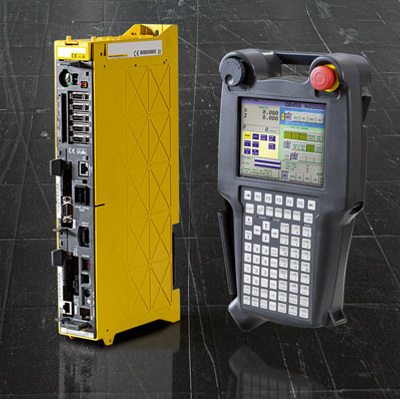 FANUC’s 3D Interference Check collision function protects your machine, parts and tooling. 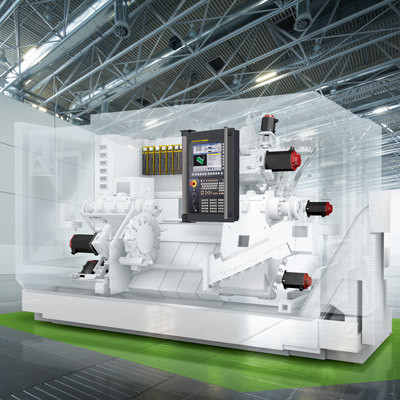 This minimises downtime by protecting expensive equipment and preventing damage to workpieces and the machine. 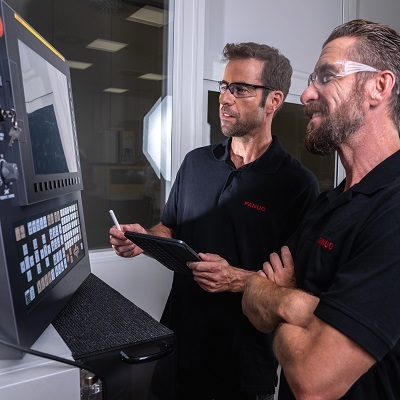 Benefiting from an operating concept that is maintained across all FANUC's controls, they are easy to operate and program, which means a lesser need for training. And upward compatibility means that existing programs can be re-used easily, reducing your total cost of ownership. Thanks to the precise interaction between highly functional top-quality hardware and dedicated software functions, such as nano smoothing or enhanced 5-axis machining control functions, achieving perfect surfaces is always easy with FANUC CNC systems. Intensive application support and personal customer service are major aspects of the FANUC’s yellow world – from the first step to the last. A very skilled and dedicated service team will help you to build and operate the most efficient machines. Always flexible, always fast, always near. 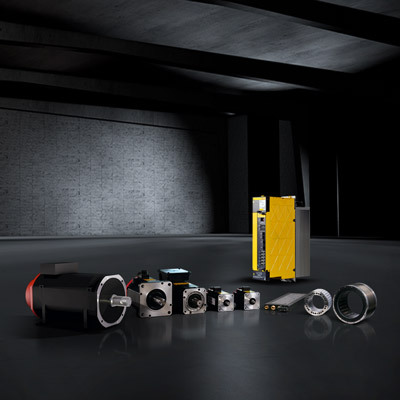 The special FANUC Service packages improves the performance of your machines even further.